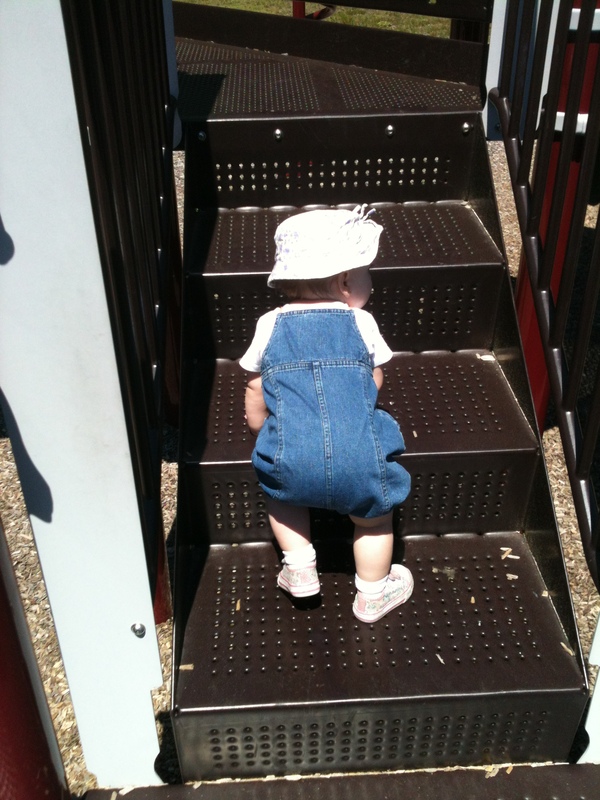 Finally a beautiful day to take the kiddos out to get their playground fix. 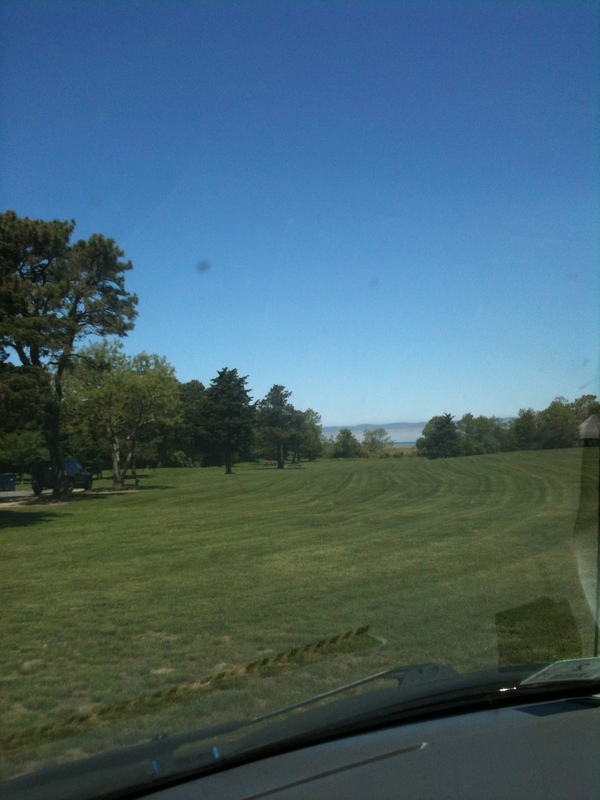 View of the water from the parking lot of the park…sorry it was from inside my car…. It’s days like this I really miss having a swing set in the backyard, but it’s still not the same as the playground with a BIG slide. 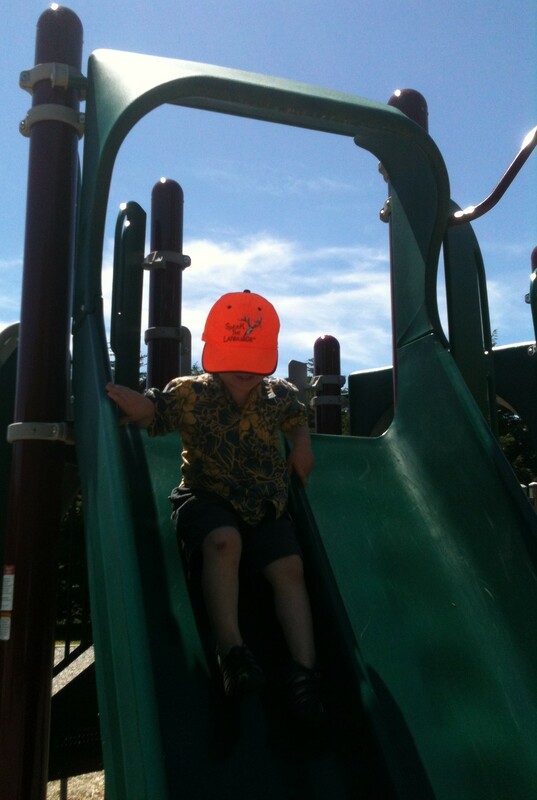 Yes, that is a hunter’s hat….it’s the easiest way to spot him at the park! 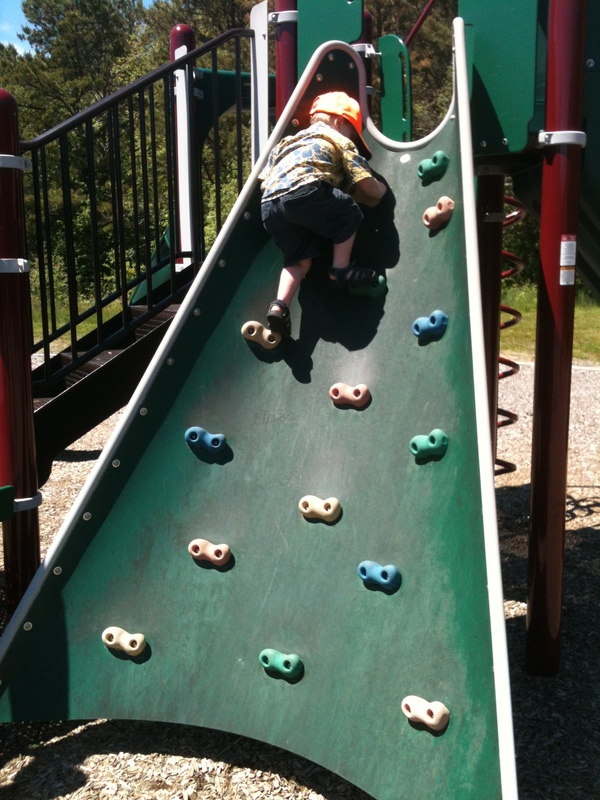 A little bit of kiddo fun at the park goes a long way. They sleep so well when they run and play for a while. Nap time is my time. This morning I decided that today was a good day for crock-potting dinner so I don’t have to be stuck indoors cooking later. 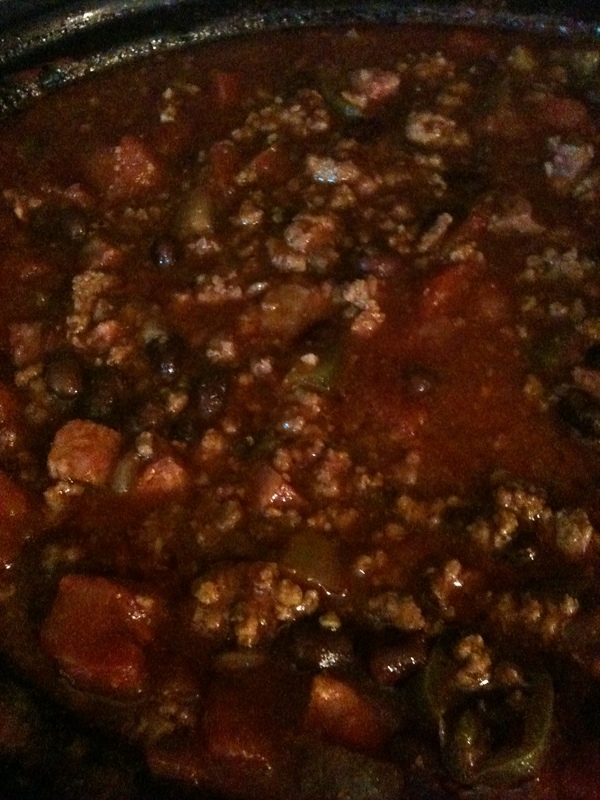 I threw the ingredients for chili together about 7:30 this morning, oh the Texan in me comes out! 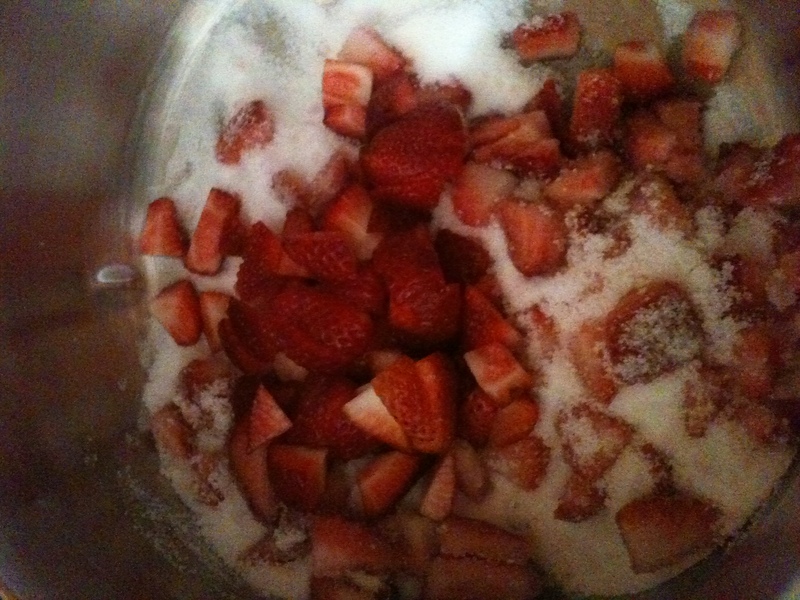 I also decided this morning that I was going to make strawberry jam, yes randomly. 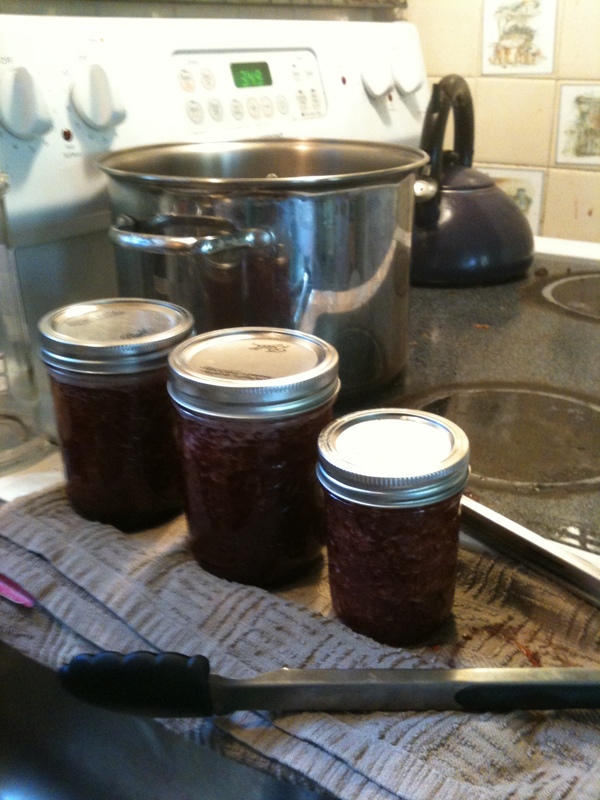 Kind of like waking up and deciding to be a blogger, I woke up and said I want to make some strawberry jam. I went to the grocery store on our way to the park this morning. 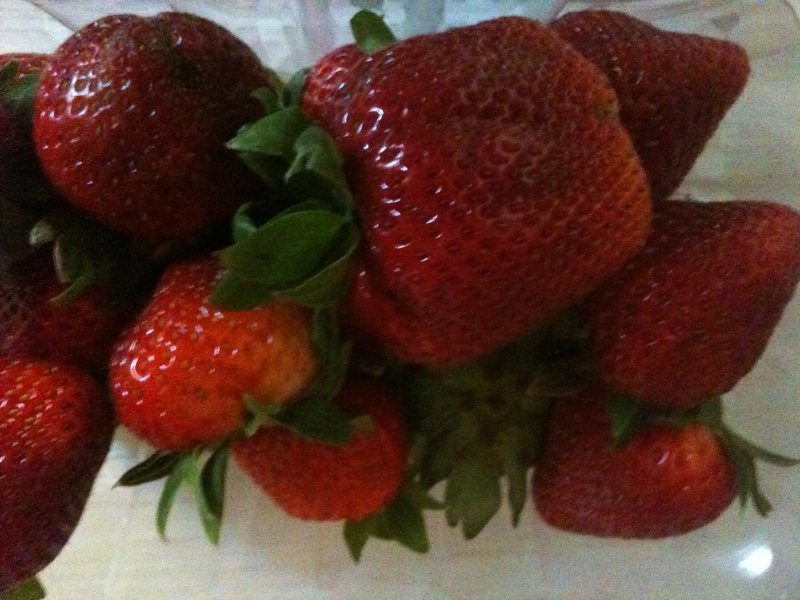 The strawberries are on sale for $1.88 at my store and they are so sweet right now, perfect stock up time. Yum! I had the perfect plan. Park. Home. Lunch. Nap. JAM. Yup, just like that. I Googled a recipe for strawberry jam and went at it. I mostly followed it. You’ll find the recipe [HERE]. Nothing crazy, no surprises in the recipe, pure simplicity—strawberries, sugar, lemon juice, and pectin. I started out with 2 cups of sugar because I thought 3 sounded like a lot, and then I ended up adding another cup, so just follow it. If you’ve ever done any type of canning it’s very simple. This is only my third time doing this and I didn’t have any issues and I use the water bath canning method—works like a charm. I like to add the sugar first…and make a syrup…. So excited, I can’t wait to eat a peanut butter and JAM sandwich for lunch tomorrow….I might have to have some strawberry jam on my toast in the morning. My day today went just as planned….well, so far…. Oh, oh, PS! 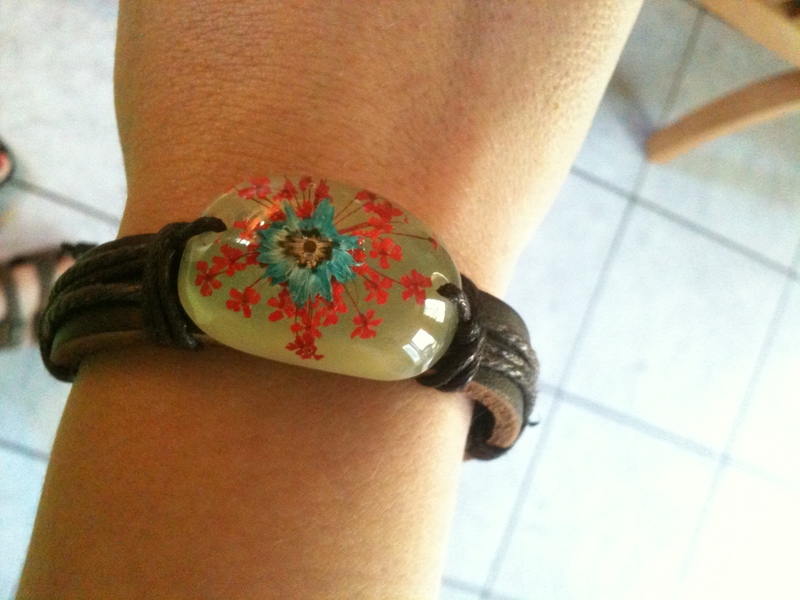 Pure randomness…..To top my day off I got this great freebie in the mail this afternoon! This day couldn’t get any sweeter….literally. What about you? Bake or make anything fun today? What freebies did you get in the mail? As Always — Don’t forget to visit me on ETSY, and LIKE my page on Facebook to keep up with all the goodies!!! !